In our series of articles, we shine the spotlight on masters of sleight of hand, men and women in the industry whose work is largely visual, but nevertheless work heavily with sound and music on a daily basis: The cutters of our favourite trailers, teasers and also feature films. Following Mellissa Lo, Patricio Hoter and Paul Cartlich, today we will highlight the magnificent work of mOcean trailer editor David Schumann. David Schumann has been obsessed with movies and movie trailers since he was 13 and growing up in Vancouver, B.C. When he wasn’t watching movies or reading Premiere Magazine and Entertainment Weekly, he was recording trailers onto VHS tapes. He has been editing trailers for 10 years in Los Angeles and has won awards for his work on movies such as “Star Trek”, “The Avengers” and “Gravity”. He’s cut trailers for tv series such as “LOST”, “The Girlfriend Experience” and “Billions”. Most recently, he’s worked on campaigns for “Doctor Strange”, “Logan”, “The Fundamentals of Caring” and “The Wall”. He lives in Los Angeles with his wife and daughter and watches trailers every day. BehindTheAudio.com: Let’s start with your first steps: At just 13 you already dreamed of becoming a movie trailer editor? David Schumann: Not exactly. At 13 I became more aware of the vast world of movies. Up to that point, it was mostly just repeated viewings of movies like “Back To The Future” and “Ghostbusters”. I wasn’t really aware of other movies and I certainly didn’t know anything about the movie industry. When I was 12 or 13 I bought my first Premiere Magazine which had Michael Keaton on the cover and was all about Batman. I was kind of obsessed with Batman and just had to soak up as much of that movie as I could. So that meant buying every magazine and trading card and t-shirt and piece of merchandise I could to be in the world of that movie. Funnily enough, after listening to the Batman soundtrack over and over I saw another soundtrack and bought it too. It turned out to be the score. It was the first movie score I ever bought before I even knew what movie scores were and since there were no new Prince songs on it I didn’t really listen to it. It wasn’t until a few years later after I got into movie scores that I revisited it. Anyway, this is all a long way of saying that when I first read Premiere I became aware of the full spectrum of movies and movie making. My dad and I used to watch Siskel & Ebert every weekend which exposed me to tons of movies I might never have heard of. I mean, it’s not like I started renting Godard films at 13. It was a gradual process. But a few years later, on the Canadian version of HBO called Superchannel I saw a show where they played movie trailers and I decided to start recording them on my VCR. I still have two VHS tapes full of movie trailers for basically every big American movie between 1991 and 1996. Sometimes I would come home from school and just pop in the tape and watch those trailers over and over for movies like “Lethal Weapon 3”, “Backdraft”, “Speed” and “True Lies”. I started to notice the way music was used or the way the dialogue was put together to tell the story. 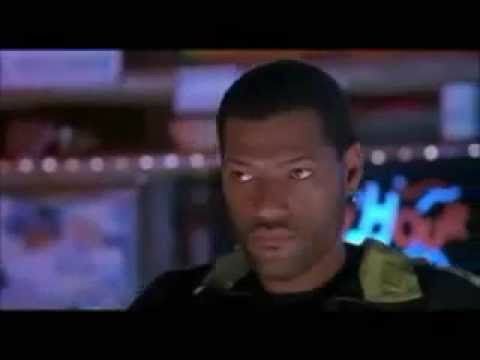 There was a trailer I used to watch all the time for a movie called “Deep Cover” with Laurence Fishburne. He plays an undercover cop in the movie and it was the first time I saw a trailer use a hip hop song (“I See Ya Jay” by Ragtime) when the movie had nothing to do with hip hop. 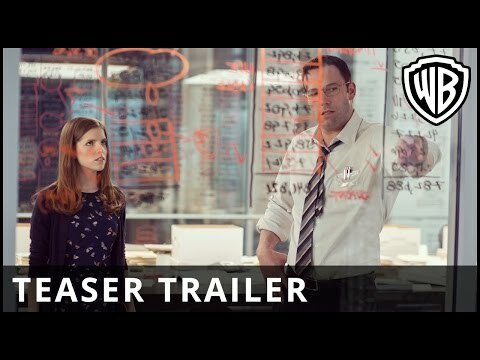 Nowadays hip-hop is used in trailers for all kinds of movies. Trailers for movies like “Miami Vice”, “42” and “Gangster Squad” all used different Jay-Z songs. “Jarhead” used “Jesus Walks” by Kanye West. It’s important to note that back then I really had no idea how these trailers I was watching got made. I guess I thought the directors or the studio people made them. I certainly didn’t think it was possible to have a career where I could make them myself. BTA: What are some of your favorite trailers? DS: There are two different eras of trailers. Basically pre-Avid and post-Avid. In the days before digital non-linear editing, movie trailers, like movies were edited on film. Meaning the actual film was cut and spliced and played back on Steenbecks or Moviolas. They didn’t have the benefit of being able to quickly undo their work if they didn’t like a dissolve or a music edit — things we take for granted today. Movie trailers from the 80’s and 90’s were mostly all dialogue and the music was just laid underneath because they were either cut on film or on 3/4 tape-to-tape. If there were any music edits, they were usually abrupt or sloppy because the editors weren’t able to be as exact in their cutting as they are today. 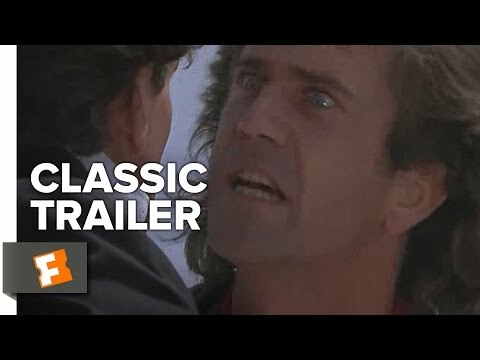 Of course there are some exceptions, like the 1987 “Lethal Weapon” trailer. But even if you got a trailer with a couple of well timed edits, chances were most of it was just kind of there. Nevertheless, that’s what the editors had to work with and even if the technology was different, our reactions were the same. We would see a trailer in a movie theater and laugh or get excited in much the same way we do now. Except these days we’re just a little more jaded so it’s that much harder to get people excited for a movie just from one trailer. My favorite trailers are some of the ones I mentioned: “Backdraft”, “Speed”, “True Lies”. Also there’s “Glengarry Glen Ross”, “Bad Boys”, “Point Break”, “Days Of Thunder”, the teaser for “In The Line Of Fire”, “Terminator 2”, “Forrest Gump“ (with the great and often used cue by Randy Edelman from “Dragon: The Bruce Lee Story”), Carlito’s Way”, “Schindler’s List”, “Cliffhanger”, “Ransom” and “Independence Day”. I could go on about each of these trailers but let me just say something about the “Cliffhanger” trailer. It’s amazing. Truly one of the best of all time in my opinion. First of all, they completely took out all the dialogue. It’s just the Mozart cue and the Wagner cue. Now this is back in 1993. For a Stallone movie. One of the biggest movie stars in the world at the time and he doesn’t say a word in the trailer. Also, he was coming off two comedy bombs and the worst performing “Rocky” movie. And it’s the only trailer they made for the movie! Today if they were to do something as radical as a dialogue-free trailer they would maybe do it for the teaser and then follow it up with another trailer that’s chock full of dialogue and story. But this has no story whatsoever. 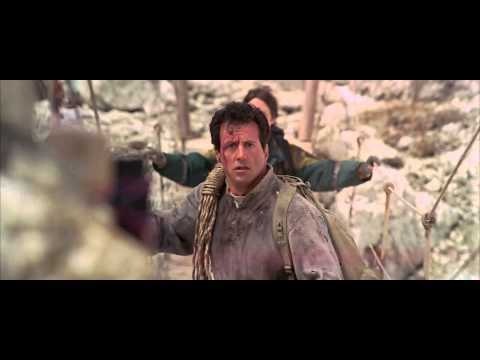 Sure you get that it’s about mountain climbing and that John Lithgow and his team are trying to kill Stallone. But it’s one of the few times the studio and filmmakers just sold the spectacle which, it turned out, was enough to get people to see the movie. It also helps that almost everything looks real in the movie. That really looks like Stallone diving away from a huge explosion and leaping off a cliff. There was very little green screen or CGI back then and that sense of reality, that these people really are hanging and swinging and fighting on the edge of this mountain just makes the whole experience of the trailer that much better. At the time, it really did feel like something we hadn’t seen before. Then you have the simple but big and bold copy line “HANG ON!” literally flying at you. With all these huge, awesome shots and this amazing piece of music, the whole thing still holds up today as one of the greatest movie trailers ever made. BTA: What makes a good trailer? DS: Chris, that’s a tough question to answer because it’s so subjective. 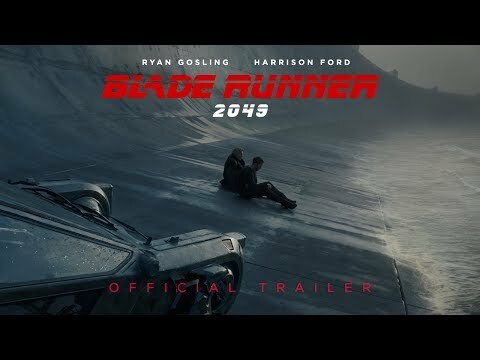 I think ultimately what makes a good trailer is something that is well cut and feels unique. But really it’s the reaction that this little 2 min piece provokes in me. Am I excited or thrilled or moved or awed by the trailer? Am I excited by the possibility of what the movie could be? If the answer is yes to any of those then it’s a good trailer. Sometimes it’s a perfectly chosen song or piece of music. Sometimes it’s the way the action is cut to that music like in the “Atomic Blonde” online trailer. Sometimes it’s the use of sound effects. It can be a well-placed joke or a dramatic moment or the way the trailer shows just enough to get you interested. It’s never just one thing. It’s always a combination of things. 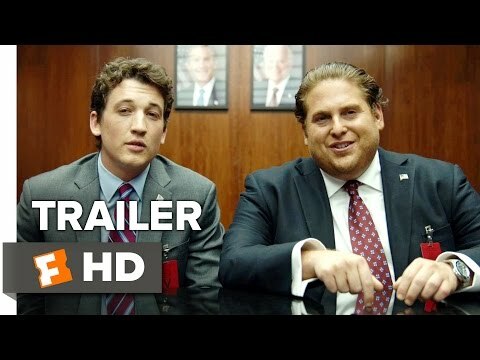 A good example is the first trailer for “War Dogs”. It has the perfect combination of jokes, action and a great music cue. It also has something that’s harder to achieve in certain trailers and that’s swagger. It’s probably because the movie itself has attitude and swagger and whoever did the trailer was able to perfectly exploit that [we’ve found out by now that the trailer was cut by Gen Ip, previously mentioned in our interview with editor Patricio Hoter]. It’s one of my favorite trailers. I could watch it anytime. BTA: What don’t people know about the process of editing movie trailers? DS: Ha! So much. All trailer editors will tell you the same couple of questions they always get asked by people. “Do you have to watch the whole movie first?” is a good one. Or “Do they just tell you what clips to put in and you do it?” Man if only they did that! I guess the “do you watch the movie?” question is amusing because we have to get to know the movie so intimately that after cutting a trailer we probably know a movie better than you would even if you saw it ten times. We know every scene, every line, we know all the big moments. We’ve also sometimes seen multiple versions of the movie because the filmmakers are editing it as we’re cutting the trailers. Another question we get asked is “Why are there lines in the trailer that aren’t in the finished movie?” The simple answer is that they are two different beasts and sometimes a line or scene will be in the movie and be perfect for the trailer. So we put it in and it works perfectly. Then the filmmakers decide to take it out of the movie for whatever reason. But the studio likes the line or moment and it tests well so it stays in the trailer. The other thing people don’t know about the process is that by the time you see a trailer online or in a theater, that could be the 25th version of the 5th iteration of one company’s trailer. Usually, for the big movies, the studios double or triple vend and within each company you could have two or three editors cutting trailers. So we’re not only trying to get our trailer through, we’re trying to get our company’s trailer through. It can be a long process of trying a lot of different ideas and then trying other ideas. Sometimes, we’ll finish cutting something and then you or your producer or the studio will realize it doesn’t work the way we thought it would. So we start again. We could spend a week or two cutting something and then decide on a completely different direction for the trailer. So then we start again. We work on trailers for weeks and sometimes months. It’s a back and forth process and takes a lot of energy and tenacity. There’s one more thing. Trailers get tested for focus groups. So when someone asks me “Why do some trailers give away the whole movie?” I say it’s because the test audience wanted to see more stuff. A famous example of a trailer that people felt showed too much is the second trailer for “Cast Away” [read our interview with ‘Cast Away’ composer Alan Silvestri]. It showed that Tom Hanks gets off the island! Why would they do that? Well, looking back on it and knowing what I know now about trailers, the marketing department was clearly trying to make it seem like there was more to the story than just a man on an island. The copy was something like “Where do you start when you have to start over” and the trailer ends with Hanks in the street, trying to decide which direction to go in. What we didn’t know when we saw the trailer is that this just happens to also be the last shot of the movie. It was an interesting attempt to get people to think there was more to the movie and funnily enough, it worked! The movie was a huge hit! So maybe their decision to show him getting off the island actually made more people want to see it. We’ve learned that people don’t always want mystery from their trailers. They want to know the story. They want to know what they’re going to get so they can feel okay about spending the money to see something in a movie theater. I know, it sounds kind of backward to some of us because we like to think that trailers are art and should or shouldn’t do certain things. Ultimately though, the point of a trailer is to get you to see the movie. If you go see the movie then the trailer has done its job, whether the trailer shows you everything or just a little bit. Trailer editing is really hard work and takes an extraordinary amount of time and energy from a lot of different people. Not just the editor, but the producers, the writers, the assistant editors. It’s really tough to figure out how to best market a movie because sometimes even the best movies have just ok trailers. And sometimes, as you probably know, the trailer might be great but the movie itself was just ok.
BTA: Please talk about the process of editing a movie trailer. What’s your first step? DS: I like to say that editing a movie trailer is like putting together a puzzle except there’s no reference picture to go by. When you’re done though, you see what it was all supposed to look like. The first step is discussing with the studio and your producer what to focus on in the trailer. Do they want to highlight certain elements of the movie and stay away from others? Do they have a certain demographic they want to focus on? How do the filmmakers feel and what are their ideas? We discuss music and copy and tone. Then we watch the movie. If there’s no movie and you’re lucky to have a rough assembly then you watch that. If you have nothing but dailies, then you just have to start going through those. But most of the time you have a feature you can view. You take the time to break the movie down. Some editors will break it down line by line and shot by shot. Our Avid bins allow us to search dialogue bins by such things as words and characters. So if I’m looking for every time Dwayne Johnson says “this”, I can type it in and it shows me that. Breaking a movie down line by line and shot by shot has you get to know it extremely well. Depending on how much time I have I will then go through and put sequences together of all the lines or shots I think I might want to use. Then I whittle that down and start to arrange the lines into some kind of story. I’m thinking about what the story of the trailer is, not necessarily what the story of the movie is. Sometimes they’re the same and sometimes not. Anyway, as I’m breaking down the movie I’ll also be thinking about certain dramatic or action or comedy moments I want to highlight and I’ll think about how the best way to highlight them might be. We have music supervisors who give us a lot of options and I’ll go through their music pull and find what I think is the best song or piece of music. Then I’ll start putting everything together, piece by piece. I don’t know about other editors but I almost always have a moment of panic at some point during the process where I’m not sure if it’s going to turn out the way I want it to. I have that every time. But I keep pushing forward and molding it and trying things and discarding things until I have something I think is ready to show my producer. He or she then proceeds to give me his/her notes, which I then execute until we have a version 1 that we think is client-ready. We send it and we wait for their feedback. We make the changes and on and on. BTA: What does a trailer editing career look like? DS: The thing I always tell people is that you’ve got to really love editing to do this job because it comes with so much rejection. I mean, for all that we finish, we cut 20 or 30 or 40 times more than that because, like I said, it’s a process. It’s long hours and a lot of them. It’s a lot of trying things and then throwing them out. You can’t get attached to anything looking or sounding a certain way because it will almost always get changed. You have to roll with the process and it can be very frustrating at times but it can also be very rewarding, especially if you get the opportunity to work on a great movie. It’s also a lot of time away from your family and friends and that can be frustrating sometimes. My wife and I rarely make plans to do anything during the week because we know there’s always a chance I’ll have to work late. BTA: How does one start a career editing movie trailers? DS: Of course, there are always exceptions but most trailer editors have started somewhere at the bottom. I started at a small company called Goodspot in 2005 as the Assistant Editor/Machine Room Operator/phone answerer/runner/everything else. You just have to put in your time learning the ropes and proving yourself somewhere. At some point, you’ll get an opportunity to move up and you just keep learning what you need to learn and being great at every job you have until you get a chance to get on the Avid (or whatever system they use) and start cutting something. I was lucky in that Goodspot was a small company and they thought I had talent and wanted me to move up. I started cutting within 6 to 8 months and after about a year or so I was promoted to editor. I worked as an editor there until 2008 when I moved to Intralink and then to mOcean in 2010 where I still work. As far as I’m concerned, it really doesn’t matter if you cut a few cool things and put them on YouTube. I had cut an Oscars-inspired montage in film school and it certainly helped me get the Goodspot job but it’s not until you’re actually working at a trailer house that you can learn how they operate and what it really takes to edit trailers. BTA: Music is obviously a really important aspect of trailers. How do you go about choosing the music? DS: As I mentioned we have Music Supervisors and they pull music for us and we choose from their pull what we like and we put it in the cut. But unfortunately it doesn’t stop there. 99% of the time you have to change your music in a cut. There have been maybe a couple of times in my career where I haven’t gotten any notes on the music but that’s extremely rare. In most cases, you’ll have to change the music in a cut or at the very least, try a bunch of alternate songs or library cues. It’s always great when the cue you love makes it into the finished piece and there are really amazing trailers out there that have used great music cues that seem to fit perfectly with the movie or that feel like an unexpected choice. The teaser for “The Avengers: Age of Ultron” used that great version of “There Are No Strings On Me”. The first Comic-Con trailer for “Suicide Squad” and “The Social Network” trailer also come to mind [the latter being also highlighted in our interview with editor Mellissa Lo]. I also love the “American Hustle” teaser which uses “Good Times, Bad Times” by Led Zeppelin. It’s because of that trailer that I got excited for the movie and whenever I hear that song I think of the trailer. 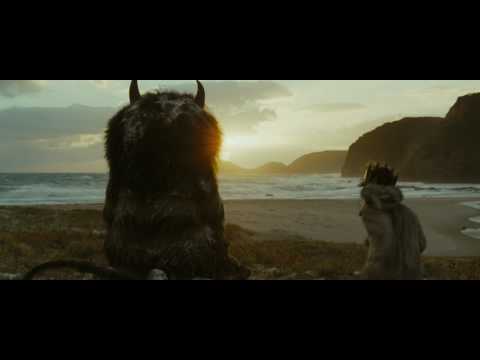 I remember being slightly disappointed that “Wake Up” by Arcade Fire wasn’t in the movie “Where The Wild Things Are” because it worked so beautifully in the first trailer for it. BTA: Voice over used to be one of the tools that defined movie trailers but in the last five years or so that element seems to have disappeared. Are there other trends that have come and gone? DS: Since we were just talking about music, trailers used to use scores from other movies. Think of the Randy Edelman cue from “Dragon: The Bruce Lee Story” which was used in tons of trailers like “Forrest Gump” and “Cinderella Man”. Warner Bros re-used “The Fugitive” score for almost all of their mid-late 90s thriller trailers. One of the current trends nowadays is to use a cool cover of a well-known song. It’s part of our reboot culture I think. Everything is just that much easier to sell if it has a recognizability factor. 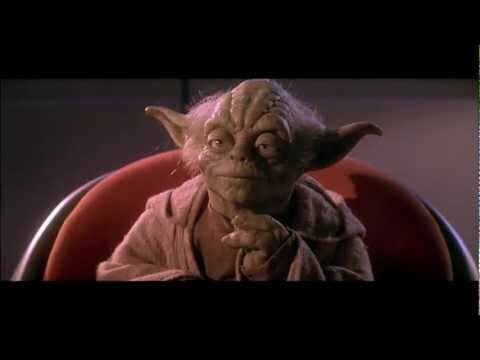 If people recognize a song, it can potentially make a trailer more memorable. Sometimes it works, sometimes not. Voice over is definitely a trend that has come and gone as I mentioned before. I think it probably started its decline around the time of that great trailer for the Jerry Seinfeld documentary “Comedian”. It poked fun at all the cliched things VO guys say like “In a world…”. Filmmakers and studios now just prefer to tell their trailer stories using dialogue from the movie or using graphic cards. The second “Dunkirk” trailer has the copy, “When 400,000 Men Couldn’t Get Home… Home Came For Them” which is simple and yet says a lot. Voice over is still used in tv spots though but not in trailers. To describe other trends might be kind of boring but if you look at trailers in the early-mid 2000s like “Tomb Raider” or “Tears of the Sun”, you’ll notice there are a lot more cuts and a lot more editorial chicanery going on than in trailers of today like, say, “Blade Runner 2049”. One is not better or worse than the other and I don’t necessarily have a preference, it’s just the way trailers have evolved and changed. I suppose the biggest change to happen to movie trailers over the last decade or so is their availability. In the pre-internet days, you would most likely only see a trailer in a movie theater before a movie. 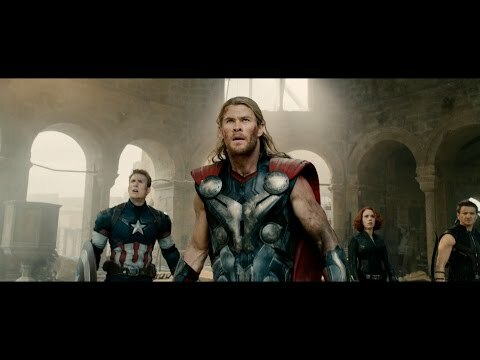 Once the internet became popular and far reaching, the studios put their trailers online. “Star Wars: Episode I – The Phantom Menace” was one of the first trailers to be seen primarily online. 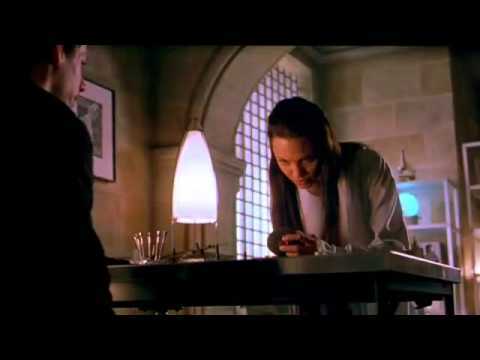 One of my favorite stories is that people bought tickets to “Meet Joe Black” in 1998 just so they could see the “Star Wars” trailer, then left after the trailer played. I remember watching the “Phantom Menace” trailer online myself. At that time the largest available size to watch them was about the size of an iPhone screen. HD didn’t come about until 2005 or 2006. Once trailers became available in HD and then as YouTube became more popular, trailers were watched and downloaded millions of times. BTA: Which trailer of yours was the most challenging to cut? DS: Every trailer presents its own unique challenges but honestly, some of the ones that have been the most challenging are the ones I’ve lost on. It can be frustrating to feel like I haven’t cracked a trailer the way I wanted to but it’s also the way it goes. I’ve had the opportunity to work on some really great films and even though I might not have anything to show for all that work I still know I did well on them. That goes back to my idea that you really have to love editing to do this job. BTA: After 10 years of editing trailers what have been your greatest accomplishments? DS: My first really big piece was the Super Bowl TV Spot for the ’09 reboot of “Star Trek” that I did at Intralink. I won my first Golden Trailer award for it and I’m really proud of it. I’m also really proud of the work I did on “Gravity”, “The Avengers” and “Doctor Strange”. I got another Super Bowl finish with the “Iron Man 3” TV Spots (:30 and extended) and also did a :60 for “The Avengers: Age of Ultron” called “Cooler” that I really love. One of my favorite trailers I’ve done is for the Taylor Lautner movie “Abduction” and even though the movie isn’t very good I’m really proud of the work I did on the trailer and also got it to finish with “Kids” by Sleigh Bells which is a great cue. 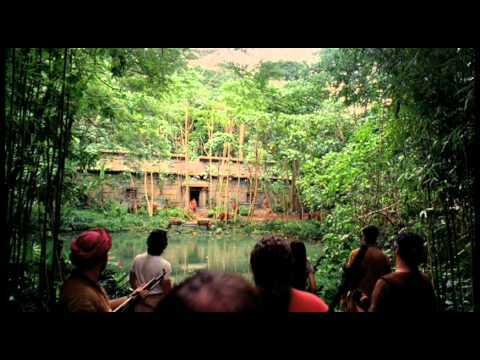 Another standout is that I was able to cut a :60 for the final season of LOST which is one of my favorite shows ever. It’s funny looking back at my work because even though I’m a trailer editor, a lot of my greatest accomplishments have been for tv spots. They might not be as glamorous as trailers but a lot of people will tell you that the tv spots are what really drive a campaign and if you’re lucky enough to cut something that makes a difference for the campaign, it can be very rewarding. BTA: I have a feeling you weren’t finished telling me what your favorite trailers are. Anything you’d like to add? DS: That’s right. I mentioned some of the old ones but not the newer ones. Even though its style is slightly dated now, the “Bad Boys II” trailer knocked me out when I saw it and there’s a cut in the montage that forever altered my view of how two shots can be cut together. 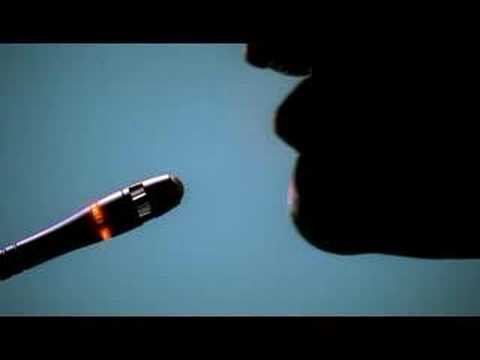 I’ve also loved the “Miami Vice” teaser with the great Jay-Z/Linkin Park mash-up “Numb/Encore”. 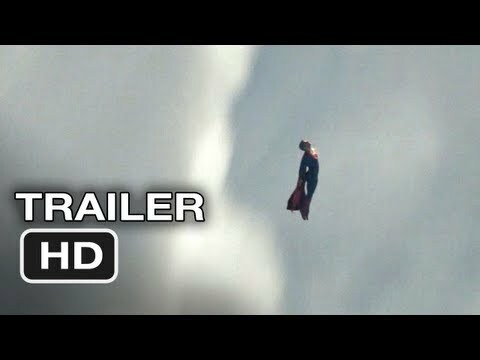 Then there are the trailers for “The Dark Knight”, “Inception” and “Man of Steel”. All of which are prime examples of how to do a blockbuster campaign correctly. Let’s see. There’s also “127 Hours”, “End Of Watch”, “Steve Jobs”, “Straight Outta Compton”, the “Black Mass” teasers, “Transformers: Dark of the Moon”, “Colombiana”, “The Girl With The Dragon Tattoo” teaser, the “Project X” teaser, “Prometheus”, “The Town”, “The Bourne Legacy”, the “Deepwater Horizon” teaser and my favorite of 2016, the teaser for “The Accountant” which I think is just incredible. I could go on but you get the point. 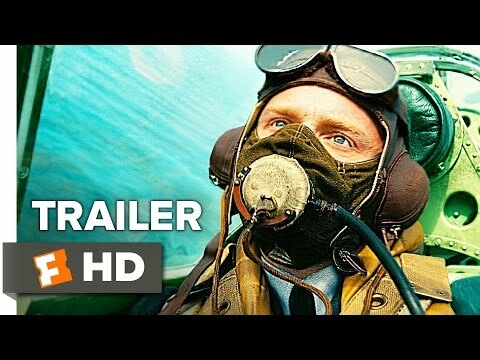 BTA: What would you suggest to people wanting to break into the world of trailer editing? DS: Like I said, it’s one thing to cut something cool at home and post it on YouTube but it’s something else entirely to work at a trailer company and really work on a trailer. So if you want to break into the world of trailer editing, maybe that cool montage you cut will get you in the door. But after that you just have to be willing to do all the things not related to trailer editing before you can actually edit trailers. You need to be a PA or work in the cold Machine Room or be someone’s assistant or coordinator. You’ll need to learn and know the system your company is using (Avid, Final Cut Pro, Premiere, etc) and work as an Assistant Editor. You’ll need to do all of this stuff that does not actually involve editing but while doing it all, you will learn a ton about the process and about what it really takes to do the work. So be interested and be curious. Be a hard worker. And be patient. BTA: It’s been a great interview, David. Thank you so much for your time and for giving us a peak into the mind of a trailer editor.